Possible causes for a missing tooth include congenital absence (never formed), non-eruption (present below the gum line but didn't come in), or tooth defects/malformation. 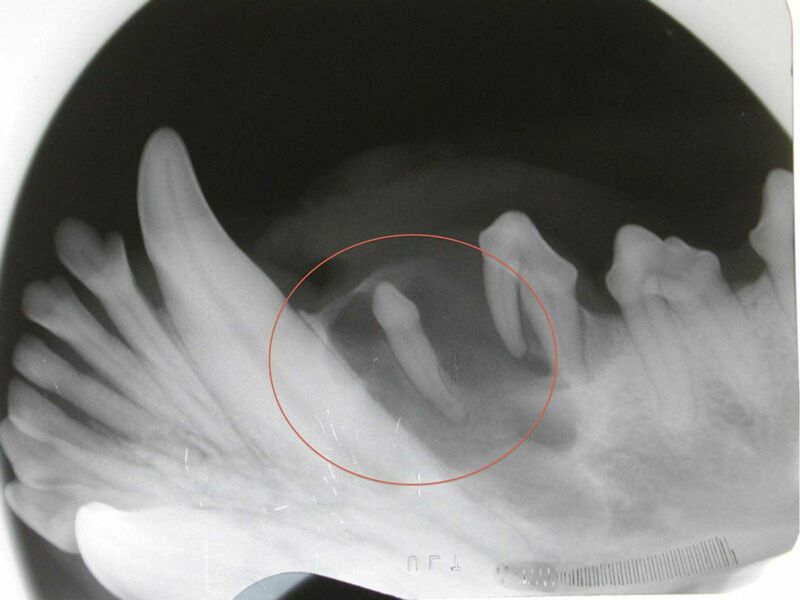 Anytime a missing tooth is discovered, an intra-oral radiograph (x-ray) is indicated. Because anesthesia is needed to obtain good dental x-rays, the spay/neuter surgery around 6 months of age is an ideal time for performing x-rays. If unerupted teeth are discovered at an early age (ideally before one year of age) when eruptive potential is still present , surgery of the gum can be performed to help encourage tooth eruption. For unerupted teeth in animals beyond a year of age, surgical exploration and extraction are recommended because the tooth will not erupt. Impacted teeth that are not removed can contribute to dentigerous cyst formation. These cysts can grow very large and cause damage to other teeth and surrounding bone. If a cyst forms, treatment involves surgical removal of the impacted tooth and cystic lining. 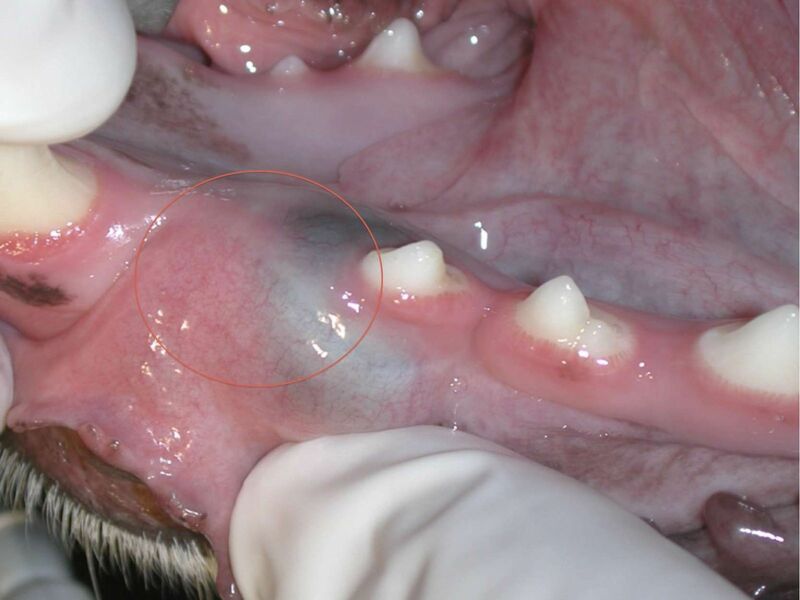 An area with an apparently missing tooth (circled above) began to show swelling. An x-ray of the area demonstrated a tooth that never erupted with an associated cyst. Because cysts may expand and cause damage to surrounding structures, oral surgery was performed to remove the entire cyst and unerupted tooth.